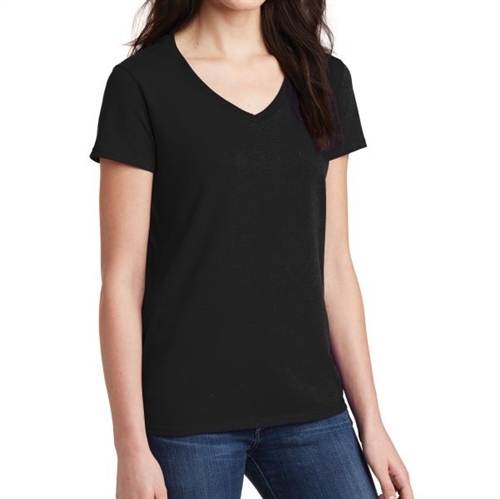 Our Women's V-Neck T-shirt are made for the female fans. These shirts can feature your own logo. This cotton t-shirt is made to show off team spirit. This shirt can sport your logo with text across the chest.